 This is part of the DeeperBlue.com Freediving App Review Series - a collection of reviews of Freediving related mobile apps. Each app has been reviewed based on a standardized set of criteria you can see here. In this article we review the Breath Hold App. This is part of the DeeperBlue.com Freediving App Review Series - a collection of reviews of Freediving related mobile apps. Each app has been reviewed based on a standardized set of criteria you can see here. In this article we review the iHoldBreath App. This is part of the DeeperBlue.com Freediving App Review Series - a collection of reviews of Freediving related mobile apps. Each app has been reviewed based on a standardized set of criteria you can see here. In this article we review the Apnea Trainer App. This is part of the DeeperBlue.com Freediving App Review Series - a collection of reviews of Freediving related mobile apps. Each app has been reviewed based on a standardized set of criteria you can see here. In this article we review the Freediving Hunter App. This is part of the DeeperBlue.com Freediving App Review Series - a collection of reviews of Freediving related mobile apps. Each app has been reviewed based on a standardized set of criteria you can see here. In this article we review the STAmina Apnea Trainer App. This is part of the DeeperBlue.com Freediving App Review Series - a collection of reviews of Freediving related mobile apps. Each app has been reviewed based on a standardized set of criteria you can see here. In this article we review the AIDA International App. This is part of the DeeperBlue.com Freediving App Review Series - a collection of reviews of Freediving related mobile apps. Each app has been reviewed based on a standardized set of criteria you can see here. In this article we review the I Can Hold My Breath App.